Our own design Jerba Campervans elevating roofs is strong enough to carry up to 100kg, but a roof rack isn’t available on any of our solid high top roof conversions. Lifting up an elevating roof is possible with a loaded roof rack, but if the load is more than 20kg then the roof gas springs will struggle to stay extended. To fit a roof rack system to an elevating roof we first have to fit a pair of roof rails to the elevating roof – these are bolted through and sealed to the upper side. 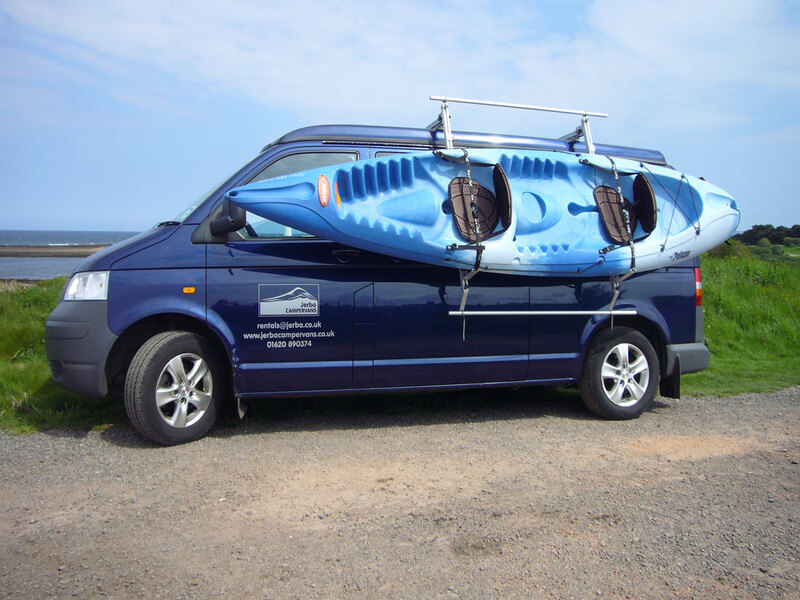 Kari-Tek Slide Off Rack – specifically designed on sturdy rollers to slide out and then drop down the side of the T6 for simple loading and unloading, this rack was designed by Kari-Tek for carrying kayaks and canoes – visit their website to learn more about them and the rack. After taking into account the weight of the rack, we would recommend a maximum load of around 85kg. 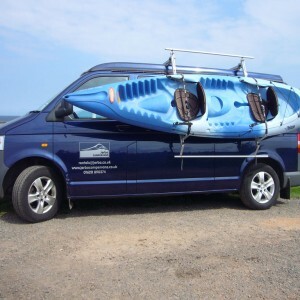 Please note that to lift the elevating roof into its raised position you must first unload any kayaks or canoes. Thule Aero Cross Bars – with fitting kits made by Kari-Tek that are compatible with our roof rails, adding these Thule bars will allow you to carry any load up to 90kg. You could fit a roofbox, but access can be a problem! Please remember that to raise the elevating roof you may have to remove the roof rack load.